This week has seen the Champions League group stage return, a little more than two weeks after the highly-anticipated draw on August 30. The draw itself followed a seemingly lengthy playoff and qualification period which began way back in July. This year, the qualification stages involved a higher number of teams that had actually qualified as champions of their own domestic leagues – albeit domestic leagues without a high enough standing on the European stage to warrant direct entry into the groups. The above situation is partly down to the group stage qualification being now largely carved up between the “big leagues” and the most prominent clubs – Spanish, German, Italian and English teams now take 16 of the 32 spots, with 3 French, 2 Russian, 2 Portuguese and 2 Dutch. The groups are further made up by teams from Belgium, Greece, Serbia, Ukraine, Czech Republic, Turkey and Switzerland. The current format is seen by many as a half-way house or a compromise between the tournament organisers and those in charge at the “Super Clubs” or those on an elite football and financial plane compared to most other teams on the continent. A constant worry of a breakaway league made up of only the richest and most powerful clubs has helped to drive this bargain – money, profit, revenue and status derived from these clubs playing each other fuels the need for an insular competition represented most heavily by those with the relevant status. The football class system at its most apparent. However, one factor which has only struck me since the drawing of the groups which may or may not have been overlooked as some of the big clubs carved things up for themselves is that by closing the competition amongst only a select few leagues, the richest leagues, means that in turn a lot of the groups do now, on paper, appear ultra competitive. This may be great for fans, but one must wonder how long this might last when some of the big boys begin struggling at the group stage rather than reaching the last 8, 4 or 2. Obviously, there are weaker groups and those where you could most probably predict the winners. 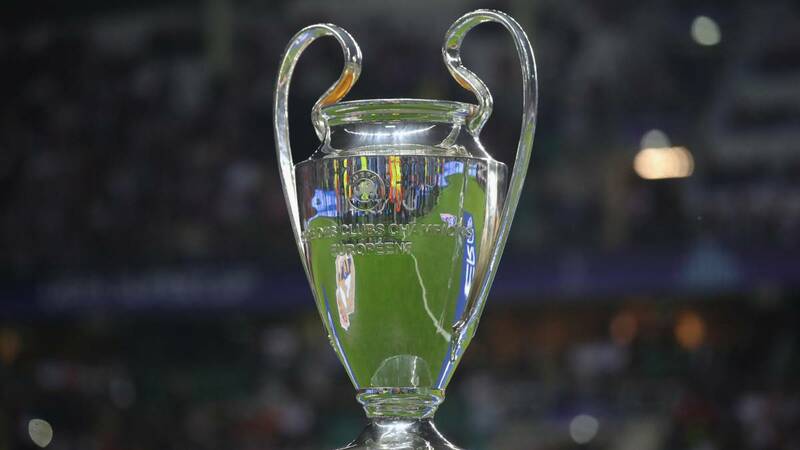 Examples this year would include Bayern’s Group E, Man City in F and Juve in H.
However, there are a few tough ones and picking 2 qualifiers from each of Atleti, Dortmund, Monaco; or Barca, Inter, Spurs and moreso Liverpool, Napoli, PSG could prove to be quite troublesome. It is quite conceivable that in each of the three examples outlined above, a really big fish could fail to make it out – Dortmund and Monaco taking home wins and away draws v Atleti to squeeze out; Spurs and Inter doing similar to Barca or PSG becoming complacent against tactically innovative or strong sides like Liverpool or Napoli. As above, these groups are likely to prove to be a really entertaining watch for the spectator or neutral, as big sides have to come out and perform and the risk of failure becomes so pronounced and cut throat. But, if a scenario like the above plays out, if 1 or 2 super clubs fall at the group stage this year, next year or the year after and the threat of last 16, quarters or semis without clubs like Barca, PSG, Liverpool, Atleti become less and less likely, how long are these oh so powerful clubs going to take it? Will they revert to the days when the tournament was more open and they could rely on an easier passage to the last 16, or will the threat of falling out of the crowd put the prospect of a European Super League into overdrive instead? Only time will tell with regard to the above. For the time being however, us football fans have some tasty European ties to look forward to. This article was originally published here at The Football Blether.